The winter season is in full session, and with its inhospitable low temperatures comes the need to stay as expressive, and as warm as possible. This is where outerwear comes in: the most effective coats, and jackets for those days when it's tough to brace the outdoors. “Honestly, I'm more of a motorcycle jacket kind of guy but that’s not conventional for the winter so you'll always find a Parka in my closet. I've been wearing parkas for a long time but this year, I've been wearing this one alot for a couple of reasons. One, it's comfortable and comfort is always first. Second, I love mod styles, like 60’s English mod style. You can always switch things up with a good Parka, and I like to put my own flair on my looks. For example, some people prefer to wear a top coat with a suit. That's great, and for me a parka is easily stylish enough that you will see me dress it up, and wear it with a suit. “For those months when it gets really really cold, this is the ultimate jacket. There is no such thing as bad weather, only bad clothing. 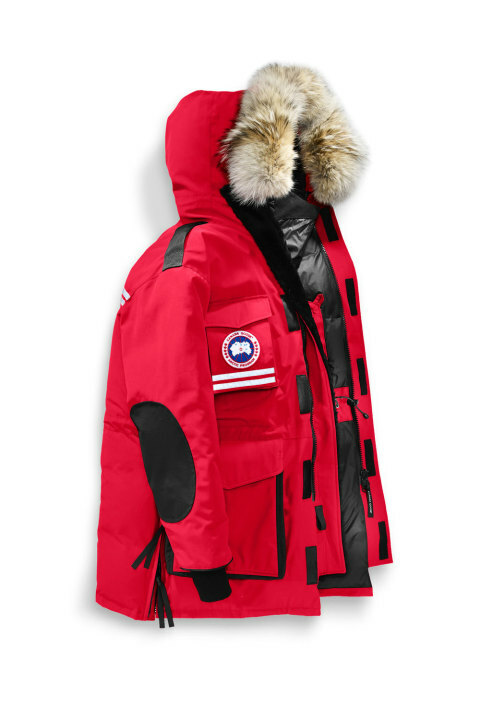 I chose this coat from Canada goose because it’s super durable. Also, if I’m being honest, my style inspiration when I bought this came from the 2003 rapper, Fabulous and his oversized jackets.